Healthcare facilities stay working even after most businesses close for the day. They know that the workday isn’t over when the five o’clock whistle blows and that weekends and holidays are just another day. From hospitals to nursing home facilities and small clinics, facility managers can make the move to Preventive Maintenance with a CMMS. A successful CMMS system allows you to do so much and reaches far beyond simple tasks. In fact, you can save time and money all while making operations easier to manage. With a good CMMS program, all of your maintenance related tasks can be managed within the system. For instance, your HVAC systems, lights, plumbing and piping systems, restrooms, elevators, and parking lots are just a sample of what you can keep up with. Even hospital machinery can be maintained by using the CMMS preventative maintenance scheduler. CMMS software helps support total healthcare safety and security through asset tracking and maintenance. 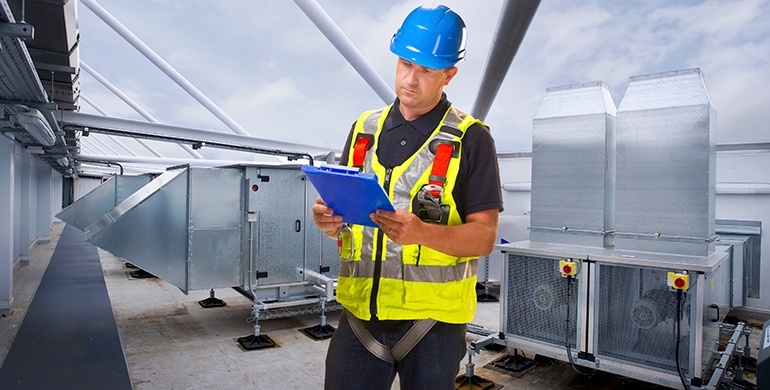 Essential aspects such as air quality, elevator functionality, food storage equipment, and machine performance can be monitored using CMMS software. When facilities and equipment run better and more smoothly, the healthcare staff is well prepared for emergencies. Assets are easier to track too. Bar code scanning makes gathering important information on machinery a breeze. I simple scan with your mobile device and you have everything you need. All of your manuals and training guides can be uploaded into the system so that they are easier to find and won’t be lost somewhere in an office or filing cabinet. One of the most important features is to be able to do everything at a fast pace. Using your mobile device with the CMMS program, you have the freedom to get updates in the field meaning that jobs get done faster. CMMS will save you time and money, because your facility will run smooth and efficiently.